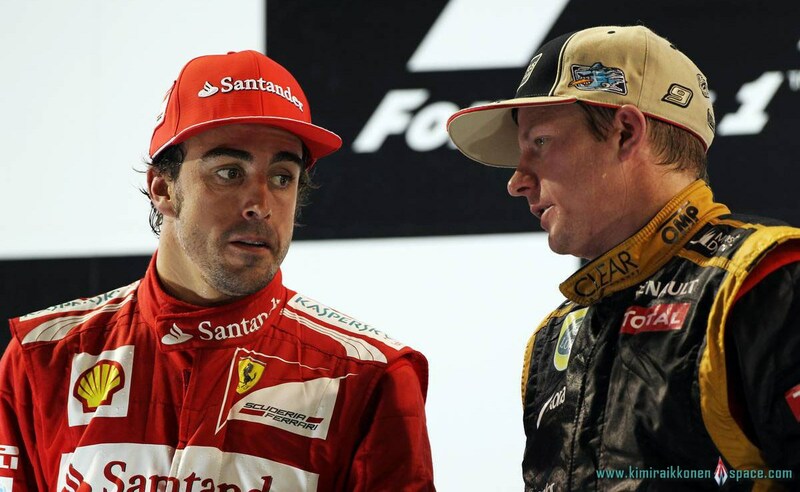 Lotus driver Kimi Raikkonen has said that leaving Ferrari back in 2009 was quite a relief for him and insisted that he feels completely satisfied with his three years in the Italian team. Raikkonen claimed the 2007 world championship title with the Scarlet team and enjoyed some good time there. The Finn’s contract with Ferrari was prematurely terminated in 2009 so as to make a room for Fernando Alonso and a major sponsor, Santander in the team. Resultantly, he was forced to leave F1 and went to participate in the World Rally Championship. The 33-year-old expressed that he is contented with his three-year stay at the Maranello based team. Furthermore, he said that leaving Ferrari was a relief for him and asserted that he doesn’t miss anyone. Besides, he said that the things could have been better, but he claimed that whatever happened in the past cannot be reversed. The 2007 world champion made his comeback to the sport with Lotus in this season and has performed tremendously well until now. At present, he is standing at third place in the drivers’ championship with 198 points. Additionally, he is ahead of Mark Webber of Red Bull Racing and is behind Alonso. He has stated that he feels really good in the Enstone based squad where everyone works very hard to claim victory and there is no politics in the team.